Some pictures of BC's beautiful Lower Mainland including Vancouver and Whistler. Click the image for larger view and size information. Images may take a few moments to reach maximum resolution. 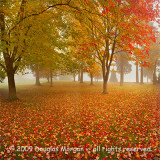 All photographs by Douglas Morgan, all rights reserved.